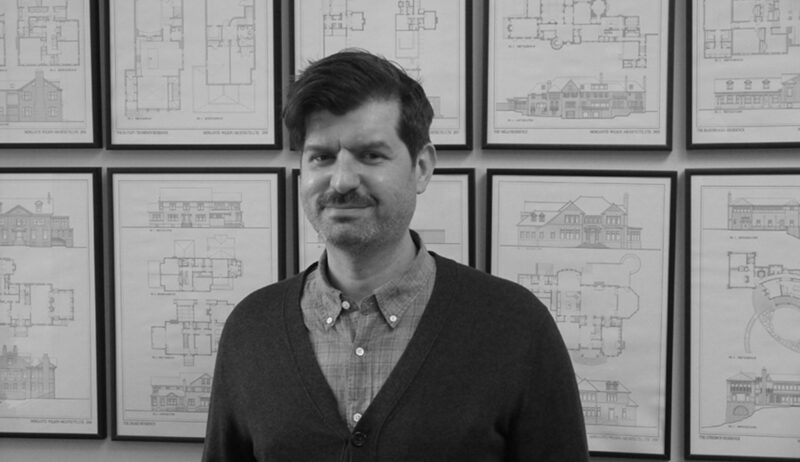 This month we introduce you to James Matthews, a Project Manager on our Interior Design team. Among his favorites: enthusiastic clients, sculptural lighting and Mother Nature. Read on to find out more. Nature inspires me in every way. Being outside is the best way to clear my mind and bring in creativity. And if I can do that on my bike, riding to work or maybe the Botanic Garden on a Saturday morning, all the better. When I design I look to nature to soften a space, as a complement to the lines of the built environment. A mix of things. I can say the paintings of Edouard Vuillard have always inspired me because of the way he built interior scenes with pattern. I also love the work of architect Luis Barragan, who used color and planes to create spaces that feel bold and serene all at once. I’d also add designer Kelly Wearstler, Russian architect and designer Harry Nuriev, and Alexander Girard, who did everything from interior to textile to industrial design, to the list. You’re really into lighting, aren’t you? I am, especially these days, when so many lighting designers are looking at light fixtures as sculpture, and playing with light as form. I love the way lighting transforms a space immediately, filling a room with character and a warm glow. Besides good lighting, what would you design into your own dream house? It would definitely have an interior courtyard so nature would always be close at hand. And I would incorporate floor plane changes by adding a few steps between a room or two. Walking up or down two steps helps define a room and makes it a special place. After five years, what are your favorite things about working at MWA? The collaborative spirit, for sure. It’s great to know that at any given moment while working on a project, there’s a room full of creative thinkers and excellent problem solvers ready to help. Another favorite thing is that we’re lucky to work alongside clients who are as excited about design as we are. And we’ve got great vendors and craftspeople who we work with on a daily basis. Those relationships are key to a successful project. Where did you go to school, James? I started out in art school with a Bachelors in Printmaking from Tyler School of Art (Temple University) and then received a Masters in Interior Design from Harrington College of Design. What could you see yourself doing if you weren’t designing? Something creative, maybe sculpture or screenprinting. Or I might work in nature in some way, maybe in a greenhouse or nursery. I do take care of the office plants, you know!